February is a special time for gardeners. It’s when we settle down with a cup of tea and our favorite seed catalogs and start dreaming. Even if your favorite purveyors have transitioned to only electronic catalogs, the pleasure is the same. I’m quite sure you have your own favorites, and I certainly don’t intend to dissuade you from them. There’s a reason the classic companies like Burpee, Johnny’s, and Park Seed have been so successful for so many years. But I want to introduce you to a few others you may not be familiar with. Here are some of my catalog favorites, including some that may be new for you. They all focus on edibles. And by the way, I’m not going to clutter up this article with website addresses. If you’re reading this newsletter, you already know how to find things on the internet. Seed Savers Exchange. A nonprofit company dedicated to preserving heirloom and open-pollinated varieties. Seeds of Change. All their seeds are 100% organic. Two great sources for all kinds of tomatoes, and then some. 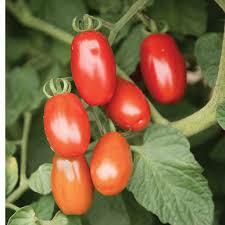 Tomato Growers Supply. Tomatoes, of course, but also peppers, eggplant, cucumbers, lettuce, and more. Totally Tomato. Totally but not exclusively, since they also have great varieties of peppers, along with herbs and other veggies. Two collections: one for tomatoes, one for peppers.